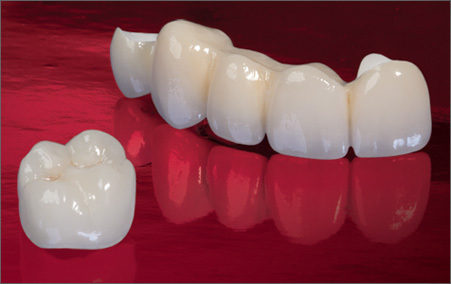 Porcelain dental crowns serve two main purposes. First, they can be used to support and protect badly damaged teeth. Second, they can be used to hide flaws in teeth. Sometimes, the same crown can serve both purposes at the same time. While other methods of repairing or beautifying your teeth are certainly available, porcelain crowns from your Paris dentist have several distinct benefits. Porcelain has a luster that is similar to that of natural teeth. The crown is shaped like a tooth and color-matched to your own natural teeth. Once the dentist has cemented it into place, no one ever knows it isn’t a real tooth. Traditionally, dentist have sent impressions off to dental labs for crowns to be made there. This requires two visits – one for the impressions and one to insert the crown. Technology has now made it possible for crowns to be made in the dentist’s office in one day. There is some controversy over which is better, so make sure to talk to your dentist about which method will be used. Root canal therapy can save your tooth. At the same time, the decay or injury along with the procedure tend to weaken the tooth. A porcelain crown can restore the tooth to normal appearance and function. Badly damaged teeth are more vulnerable to microorganisms and trauma, even after they have been repaired. Besides being a naturally appearing and functioning replacement tooth, a dental crown can protect the tooth from bacteria and injury. Dental crowns are often used to anchor a bridge that spans the gap left by a missing tooth. 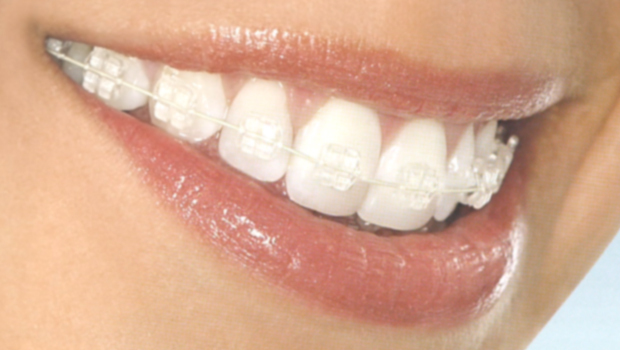 The crowns on each side of the gap support the artificial tooth in between them and hold it firmly in place. As a purely cosmetic treatment, crowns can be used to make misshapen teeth look shorter, longer, wider or narrower. Ask your Paris dentist if porcelain crowns can make your teeth look more even. Your dentist can give you several options for hiding or minimizing discolorations on your teeth. Dental crowns are one option that completely masks the discoloration, leaving your smile looking whiter and more uniform in color. Many people who aren’t familiar with dental implants assume that it is the crown that is implanted. Actually, the dental implant consists of an anchor and a titanium post. After placing the implant, your dentist can cement the porcelain crown to it for a natural-looking tooth substitute. If you are considering dental crowns as a cosmetic or restorative treatment, sit down and discuss the matter with your Paris dentist. After a brief consultation, you can have a clearer idea of what you want and if dental crowns are right for you.